Some product pages turn visitors into customers. Many don't. This guide will show you 9 strategies that will convert visitors into buyers. 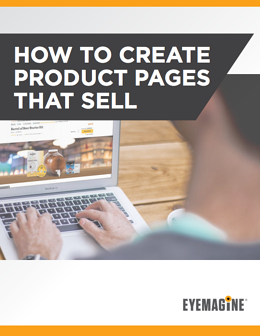 How to Create Product Pages That Sell was created by eCommerce strategists, marketers, designers, and developers with decades of combined experience. The strategies included were validated in the market by our own eCommerce merchant clients and their online stores. Our merchant clients have seen tremendous growth in their eCommerce site's conversion rate because of the optimization techniques you will learn from this eBook. What are you waiting for?